Chilling on the rocks in Baja. Not the prettiest of birds. 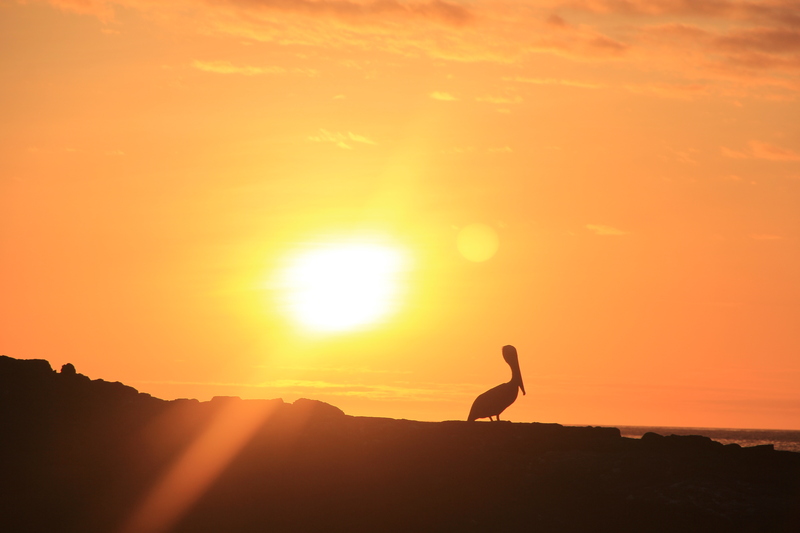 We have plenty of opportunities to watch pelicans in Baja. They fish in the bay next to our hotel and congregate on the rocks. 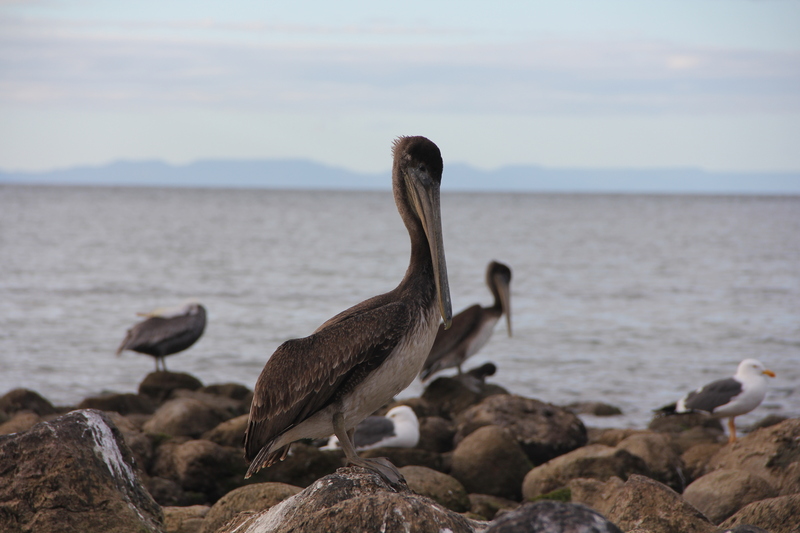 This isn’t the first place we’ve seen them either; Ian and I first saw pelicans in Venezuela, on our honeymoon, and we saw them frequently last year in the Galapagos. They also hang around the inlet next to our house in California. We’re strangely fond of the creatures. It’s difficult to say why, because they’re not particularly beautiful. Nor are they elegant: taking off is a painfully ungainly and undignified procedure that involves flapping frenziedly to get enough lift. And when they spy fish below the surface, their method of catching them involves crashing into the water as if their bicycle brakes have just locked and they’ve been thrown over the handlebars. It’s a mesmerising sight. While the design of the pelican may appear to defy science, the reality is somewhat different. The bill, with its oversized pouch for scooping large fish, is an effective way of collecting lunch. 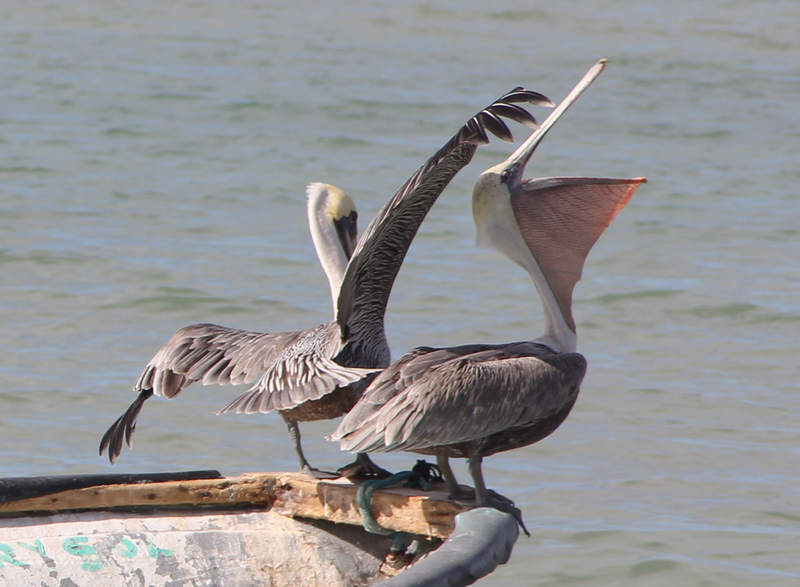 And, although the pelican is one of the heaviest birds on the planet, the air pockets in its skeleton and under its skin make it relatively light compared with its bulk. Apparently, take-off isn’t quite as taxing as it seems. 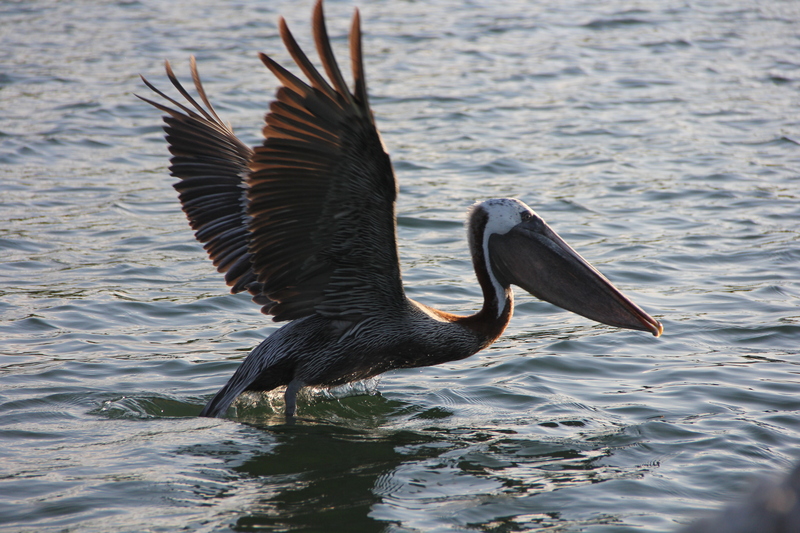 Once up in the air, the pelican’s huge number of flight feathers allows for graceful gliding and soaring. The design of the pelican must be effective: according to fossil records, it’s been around for 30 million years, with various cultures from Egyptian times adoring it as a symbol of protection and self-sacrifice. Our reverence stems from our honeymoon, when the bird seemed untenably exotic. And more than a little bit funny. That huge bill can scoop up fish up to a foot long. And turtles, crustaceans and smaller birds.